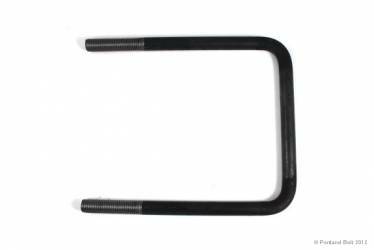 Square bend U-bolts are typically used for attaching product to a square shaped post. They can also be embedded in concrete and used as anchor bolts. Round bend U-bolts are also available. 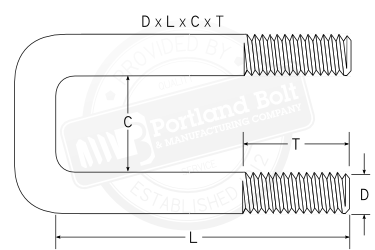 Portland Bolt does not provide U-bolts under 1⁄2” diameter. 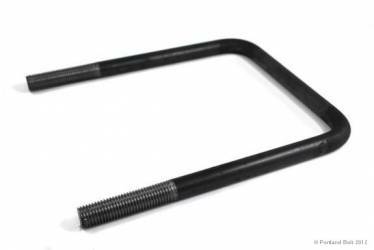 Portland Bolt manufactures custom square bent U-bolts from 1/2″ through 4″ in diameter to virtually any ASTM specification. They are provided either plain finish or hot-dip galvanized. Stainless steel U-bolts are also manufactured. All operations, including the galvanizing process, are performed in-house.